Based on purchase price of $1,199 at 0% APR for 18 months. Excludes tax and shipping fees, to be calculated at checkout. Rates range from 0-30% APR. Choose from 6, 12, or 18 monthly payments. Some players prefer the STRAIGHT-style cabinets with all speakers attached to a one-piece baffle and all facing the same direction, effectively ƒ??coupledƒ?? for maximum punch and frontal projection. 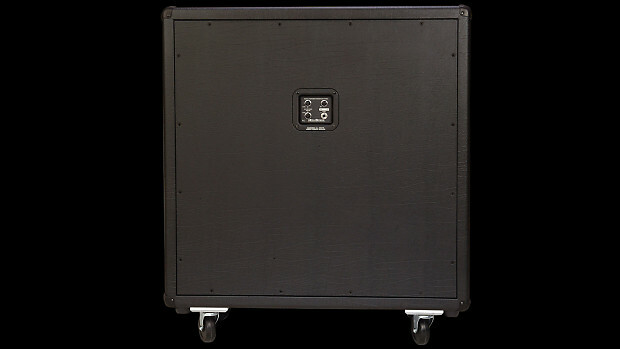 Other players prefer SLANT-style Recto 4x12 Cabinets, which offers a ƒ??monitorƒ?? effect due to the top speakers sloping up toward your ears. This can be a benefit when playing live. 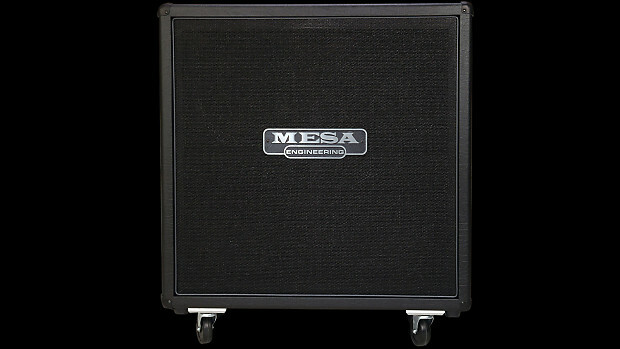 Regardless of Slant or Straight, if you are playing a Recto 4x12, your tone has authority, clarity and detail that only MESA?? 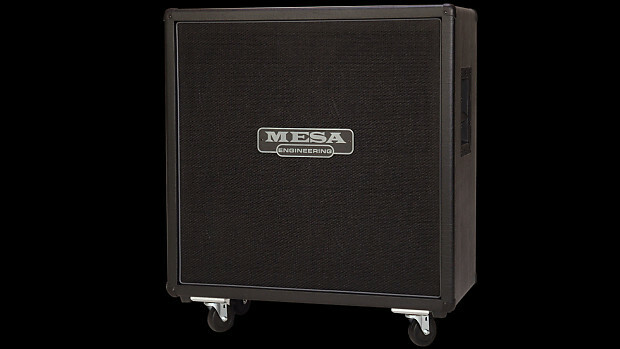 Traditional or Standard 4x12 Rectifier Cabinets deliver. You simply wonƒ? ?t find a better cabinet. ALL MESA?? ENCLOSURES are made using the finest Void-free, Marine Grade Baltic Birch. Super strong rabbet corners are glued and nailed. Speaker baffles are fitted with superior dado joint construction and braced. Grilles are wrapped around a separate grille board, not the baffle board. Grille material is made of strong twisted jute dipped in a special coating that filters top end for a sweeter response. We ship most any order placed before 3pm CDT Tuesday through Friday the same day. Orders placed Saturday-Monday will ship the following Tuesday. We will only shipped to confirmed addresses on your PayPal or Credit Card accounts. For new products we will only ship to delivery addresses within the United States. Most pedals are shipped via Priority Mail. Guitars and Amplifiers are shipped via UPS Ground. Other shipping methods are available. Please contact prior to placing your order for shipping cost quotations to your delivery address. Our highly knowledgable sales staff is dedicated to helping you find the right gear, so please be sure to ask any and all questions to the item you are purchasing BEFORE you make your purchase, so that we can do our best to make sure it is right for you and your needs. For purchases made via Reverb Direct Checkout or PayPal the Guitar Sanctuary does accept returns on NEW items as long as arrangements are made for such within 48 hours of purchase/receipt. Returned items MUST be in the original condition and with all of the original packing (including owner’s manual, un-used warranty card, any other items that came with the item) in order to qualify for a refund. For purchases made using the Affirm the above listed policy is extended to 72 hours for preowned items, and 7 days for new items. All of the other stipulations apply. No refunds are available for “special” ordered items (items that were not in stock, but rather ordered per the customers request and/or to the customer's specifications), Items that involved a Trade at the time of the purchase, USED items, items that were sold "AS-IS", or items that were originally put on layaway. The customer is responsible for all freight charges and any processing fees incurred in the course of the sale. We cannot refund freight charges. For ANY RETURN made at our discretion after 48 Hours The Guitar Sanctuary will charge a minimum 20% restocking fee for returned effects pedals and amplifiers and a minimum 10% restocking fee for Guitars. The only exceptions are for products that are defective. We understand that every return situation is different, so please feel free to contact the staff with any issues you have so we can find the best resolution for everyone involved.